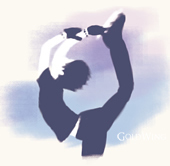 “Gold Wing” is a non-official fan site for Yuzuru Hanyu, a Japanese figure skater, organised by his supporters. We welcome your help promoting the fan club and its activities to support Yuzuru as he continues to progress into the future. Copyright © Gold Wing All Rights Reserved.